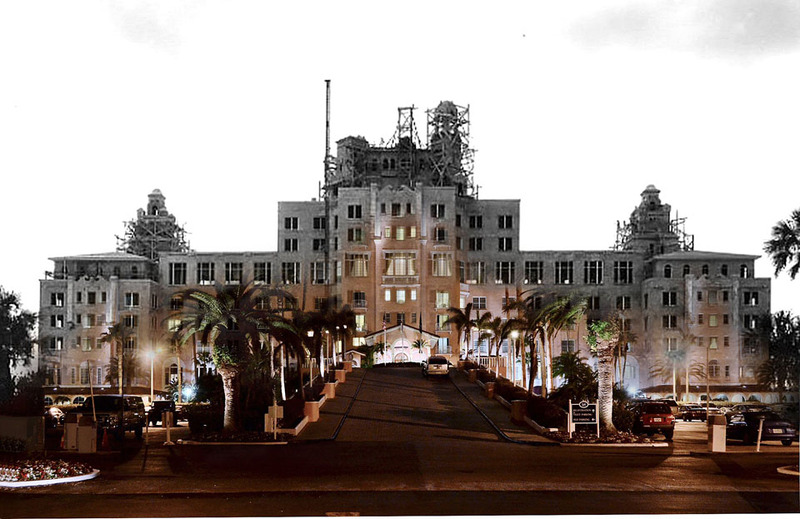 Ron Ciervo took this re-photograph of the Don Cesar Hotel, now the Loews Don Cesar Hotel. The historic part of the photograph shows the hotel under construction. The modern part of the photograph shows the hotel 85 years later.